Here’s a modern family tree unlike any other I’ve seen. 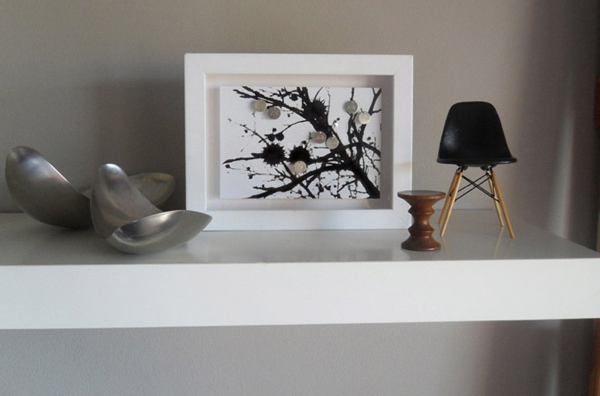 A piece of art work with fabulous family sentiment, click through to find out where you can have yours created. Illustrate your unique family history in style with this contemporary Family Tree. 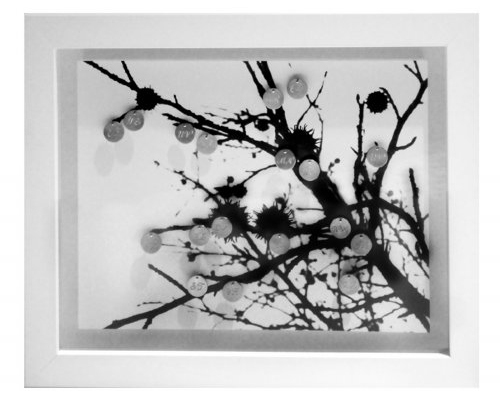 A modern black and white print of a Sweet Gum tree, dotted with silver will fit any modern space. Three sizes of framed family trees are available to suit small and larger sized families. 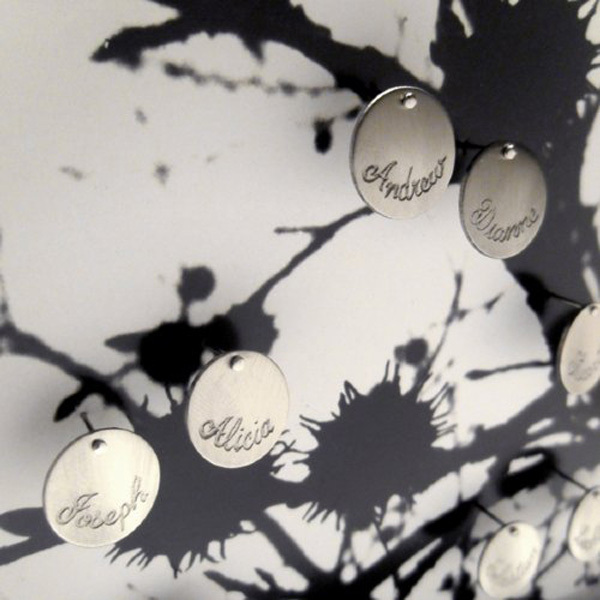 Personalised silver medallions engraved with each family member’s name (priced $12 each) or initials ($9 each) can be added over time as your family grows and each tree is housed in a sustainable timber frame and can hold between two and eighty medallions – see individual sizes for how many can fit which size. The Family Tree is sure to make a beautiful keepsake for new parents and is priced from $55 from Bilingual.